Say what you might about River City Mayor Stephen Mandel but I like the fact that he’s willing to speak his mind about issues without resorting to key messages and corporate-speak crafted by communications and public affairs staff. That’s refreshing and uncommon in today’s political world. Last winter, River City motorists were bottoming out, getting stuck or simply stranded on their neighbourhood boulevards and in their cul de sacs. People raised a big stink about it. They wanted better snow removal. Shirley Temple, in some neighbourhoods they just wanted any snow removal! 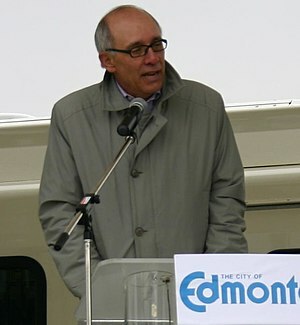 Mayor Mandel ensured councillors and civil servants would study the matter and improve snow-clearing service on River City streets and avenues. More to the point, Mayor Mandel unequivocally apologized personally and on behalf of city council: “I’m sorry. This should have been done better and it’s really all of our fault.” He could have leaned on the excuse that River City experienced a record level of snowfall not seen since the 1970’s but he didn’t. Oh, the cynic will suggest that Mayor Mandel was being politically expedient in his remarks but I believe he was just being honest. Mayor Mandel has made refreshing comments on other issues, too. Comments from the heart that have put him out there to take shots from media, posters and bloggers named and anonymous. There’s too much construction going on at one time, Mayor Mandel stated in the middle of the current record-breaking construction season. The city is pouring millions of dollars of federal and provincial infrastructure funds into roadway creation and repair. The result has been an unprecedented mass of heavy equipment, barricades, construction speed zones and detours no matter where one drives in River City. Mayor Mandel was echoing what so many of us felt: Enough already! As River City is (unlike say: Ottawa, Toronto or Vancouver) very much a drive-don’t-ride city, all of these points relate to motorists. While driving around town recently, Mayor Mandel suggested that there are too many traffic lights and too little coordination among them; a dangerous combination. Many River City drivers have long lamented the municipal transportation department’s penchant for putting up traffic lights willy-nilly with seemingly little regard for overall traffic flow. So we are stuck with willy-nilly while hoping for coordination. But ne’er the twain shall meet. River City is, after all, the city with a freeway with traffic lights. Yellowhead Trail – we don’t call freeways “freeways” here in River City! – stretches from one end of the city right through to the other…with seven traffic lights en route. Mayor Mandel’s a politician. He’s going to take his shots from the public whether he speaks or is silent, whether he acts or sits on his hands. I simply think it’s a good thing he’s willing to speak his mind.